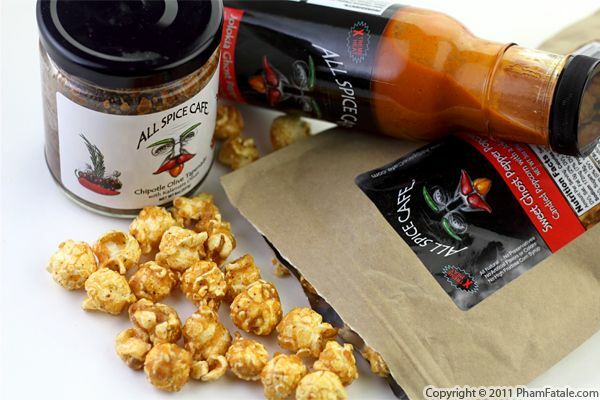 When John from All Spice Cafe offered to send us some products to sample, I was definitely game. We eat really spice food, so the chile sauces, salsas and other products from this wonderful company seemed right up our alley. Honestly, I think I was a bit arrogant in thinking that nobody made food spicy enough for the likes of my father-in-law, who makes habanero sauce by the liter and finishes it faster than you can imagine. As a frenzied college student juggling a heavy course load, two jobs, and a social life, food is almost always an afterthought for me. That doesn’t mean I don’t care about what I eat; on the contrary, I am constantly looking for simple yet tasty treats. My recent addiction has been frozen yogurt. It’s quick, easy, healthy, and now thanks to all of the shops popping up around campus, it’s social, too! However, like all addictions, it’s burned quite the hole in my wallet. 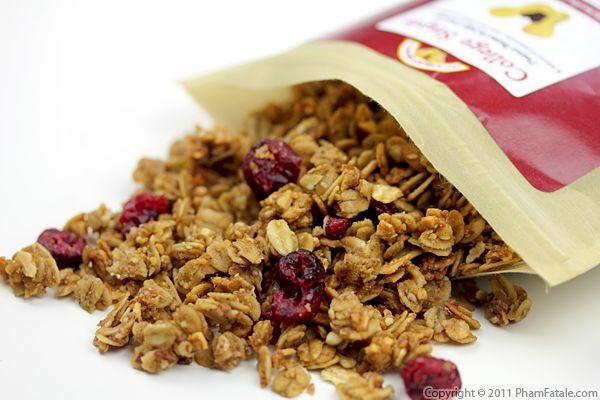 Solution: buy your favorite tart yogurt at your grocery store, and instead of paying exorbitant prices by the ounce for toppings, get a bag of granola. I recently received New West KnifeWorks' newest knife, the Super Bread to review. Read on to see my thoughts. 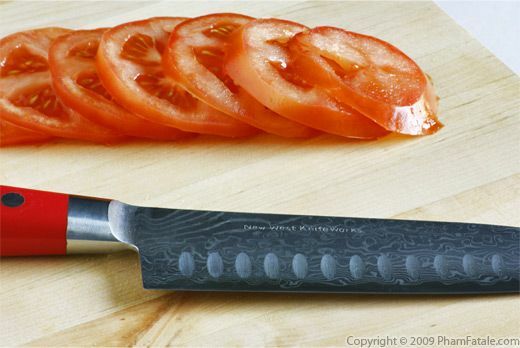 I think a home cook needs at least 3 knives: a paring knife, a chef's knife and most important a Santoku knife. In the kitchen, I use a Santoku knife all the time. It's a very versatile knife that is great for chopping, dicing, mincing or slicing food. I recently received a New West KnifeWorks Santoku knife to review. Read on to see my thoughts.